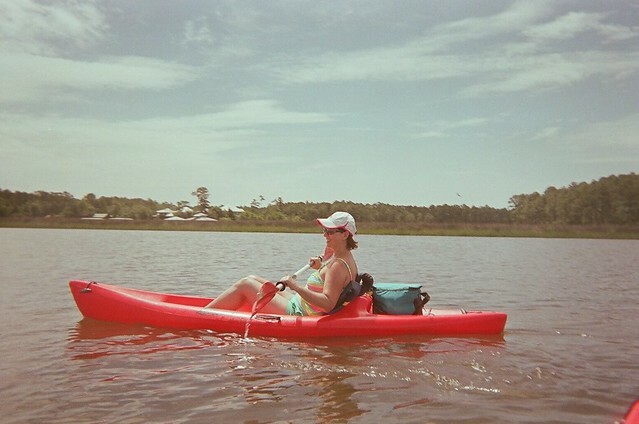 A highlight of this year’s vacation to the “Redneck Riviera” of Orange Beach/Gulf Shores, Alabama was a kayak ride down the Bon Secour River which feeds into Mobile Bay. 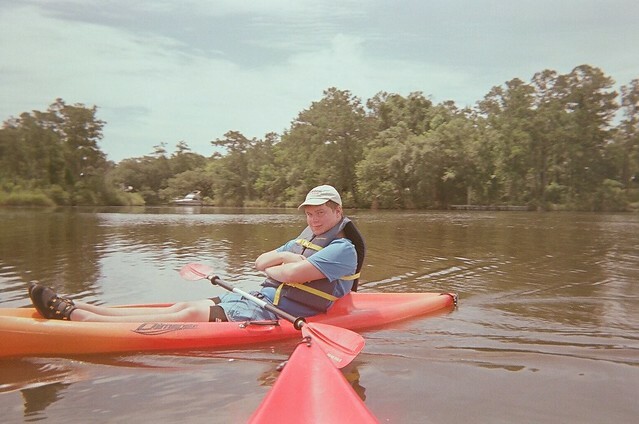 We rented the kayaks from BeachNRiver Kayak Rentals near the town of Foley. 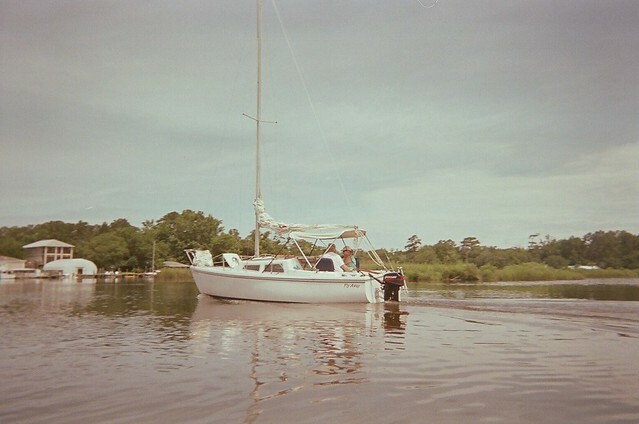 BeachNRiver is located on a creek just a few hundred yards from the Bon Secour so it is very handy an d “Ranger Rick” and “Beaching Betty” the hosts were very nice and informative and made sure that we were ready for our outing. We used BeachNRiver three years ago on our first trip to the area and loved the experience so much we came back. (I can’t find my post fromthat trip!!! or I would link to it) They do a great job. 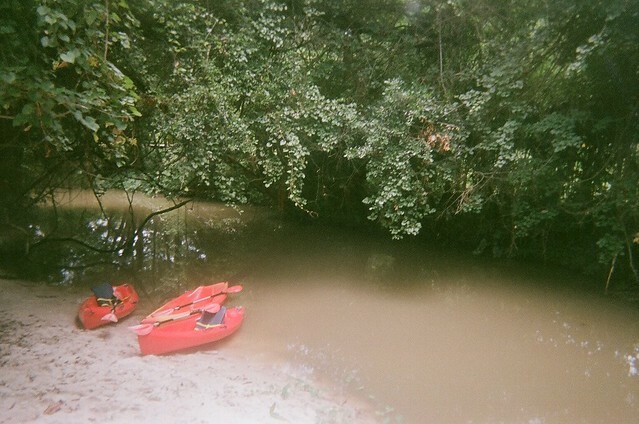 The river flows very slowly and is free of obstacles so the kayaking is pretty easy going both downstream and upstream. The river is pretty narrow at first but soon opens up. 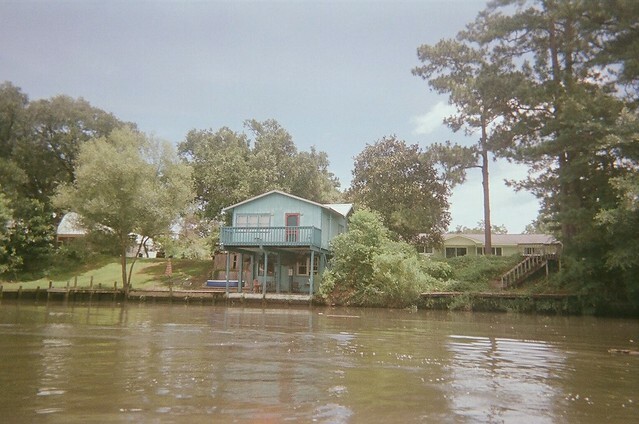 There are lots of houses backing up to the river with boat docks facing the river. They ranged from just shacks to some pretty luxurious homes and everything in between. We passed a few motorboat and sailboats on our trip. Every one of them idled down to not make a wake as they passed us and the people on board always had a comment or two as we we went by. The river is a happy place and the people using it are very respectful of each other. A highlight of the trip was a dolphin we say making its way slowly upriver. All I had for cameras were waterproof recyclables so I don’t have a good pic of the dolphin, or any pic for that matter but still it was great to see. The dolphin was surfacing frequently and I could hear it “breathing” which is something I had never heard before. The great thing about a kayak is that you are almost at one with the water. You can glide over sandbars and just kind of cruise along and feel like you are part of the river. They are easy to maneuver and propel. It is a little tricking getting in and out of them if you are not used to it. In addition to the dolphin we saw lots of ducks, herons, and pelicans. Our outing took a little less than four hours and we were a good tired when we were done. We all agreed that the expedition was the highlight of our vacation. We loved the beach but it was nice to get away from all the hustle, bustle, and people for a few hours. 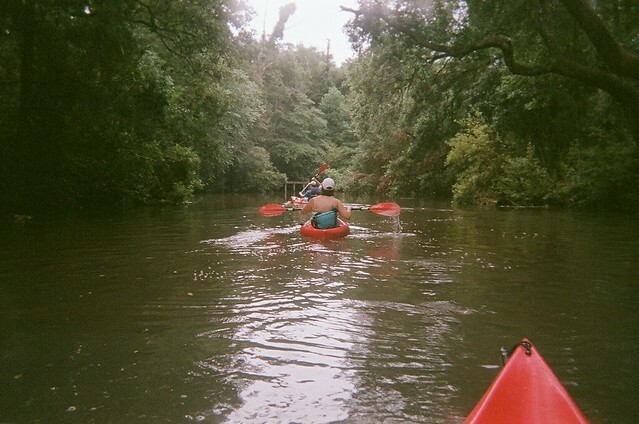 This entry was posted in Vacation and tagged Kayaking, Our World, Vacation on June 30, 2014 by Alan Bates. Great looking excursion. I like the idea of no obstacles and a slow moving current. I have floated the Elk River here in Arkansas and the Ilinois River in Oklahoma. Both have numerous obstacles and challenges. They can be exciting but they can also ruin your canoe and your day. Glad you had a great time. Welcome back. That looks like much fun. Wonderful family memories! Wonderful. I would love to boat there myself. Looks great. Boom, Bobbi and Gary. Oh, how fun indeed!! What a great excursion for all of you!! Thanks so much for sharing!!! Make my afternoon!! 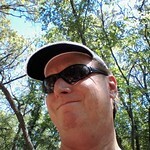 I love the scenery and photos from your kayaking trip! Looks like a fun day! Have a happy week! how cool is that. in some of the pics you look like you’re in a jungle. What a nice relaxing vacation! The river looks so peaceful, and I know that the view is very different from the middle of the river as opposed to the shore. Seeing a dolphin must have been a wonderful experience! I enjoyed these photos. It looks like you are having a grand time! What a fun adventure. 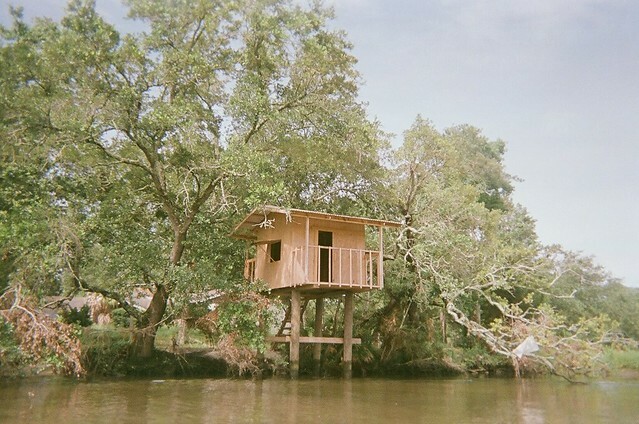 I like that tree house! Sounds like my kind of adventure, although I admit I haven’t been out kayaking for a while. 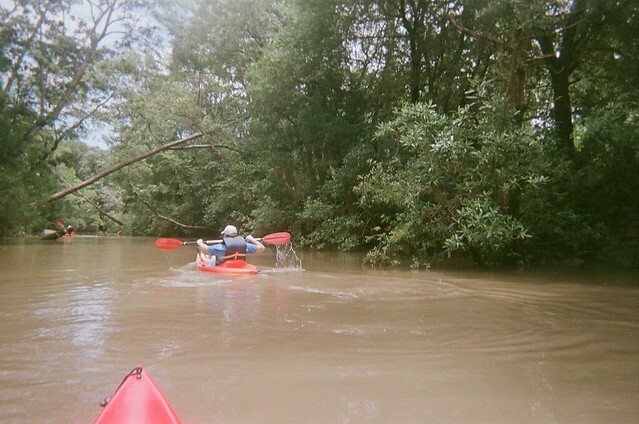 I loved your description of kayaking as being at one with the water. How right you are. What a wonderful trip you had. It was a pleasure to see you and your family return to kayak with us again. How time flies and how kiddos grow! I love how you describe “the (Bon Secour) river is a happy place” and you feel like you are “part of the river” while kayaking. 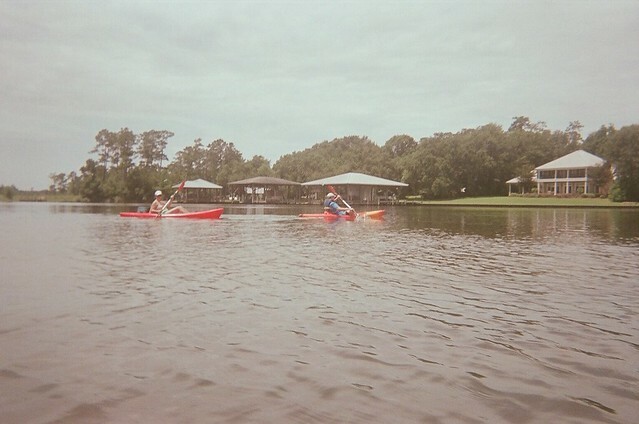 That kayaking with BeachnRiver Kayak Rentals (in Foley) is a mutually agreed upon highlight of your Gulf Shores/Orange Beach, AL vacation makes us feel proud. Really, really proud. We love the photos you posted — and yes, they do showcase the “jungley” feel you paddle through before seeing the unique homes and wide, open water. It is highly unusual to traverse such diverse landscape in such a short paddling distance (based on an average paddle of approx 2.5 miles). 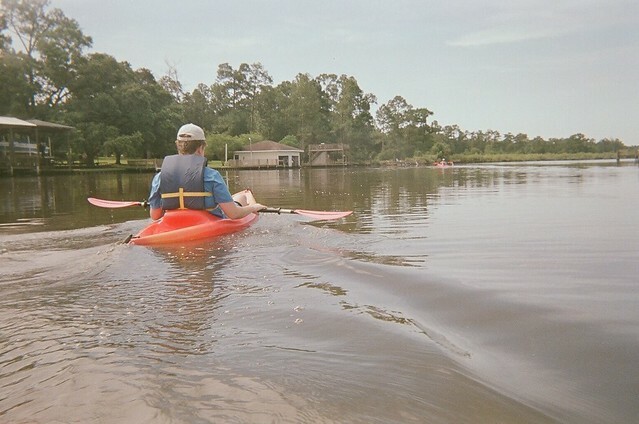 I’m proud that the Bon Secour River is gaining a reputation as a place for folks to enjoy nature in a quiet and respectful way — and that recreational boaters are mindful of the wakes they throw and power down when approaching a kayaker. I also think it a positive reflection of our guests that they are mindful of private property owners’ desire to preserve their peace and that they conduct themselves as though they are honored, “invited” guests. We are tickled you got to experience seeing and hearing dolphin on this tour. It is a completely different experience when dolphin suddenly appear near your kayak and spray you with their blow. We still get goose bumps when we recall our own experiences. Kayaking offers an opportunity to silently glide by and witness the delicate and beautiful ecology in a way that one would not be able to appreciate in the same way whizzing by in a motorized vehicle. I’m glad you got an opportunity to also see ducks, herons and pelicans. We know what you mean when you say, “it was nice to get away from all the hustle, bustle, and people for a few hours.” Sometimes the solitude — yet closeness of family — on a still-water paddle that leaves one “a good tired” — is just what is needed to recharge during a vacation. Thank you again for supporting this ol’ mom and pop business and for writing such a lovely post. We would not be in business if it were not for the kindness of folks, like you, who promote us (and the sport of kayaking!) by sharing your experiences with others. We look forward to the day when guests visiting the Alabama Gulf Coast plan their “beach” vacation around their “river” kayaking adventure! It is wonderful to see how “SPB” has grown and to read about your very first experience kayaking with us.